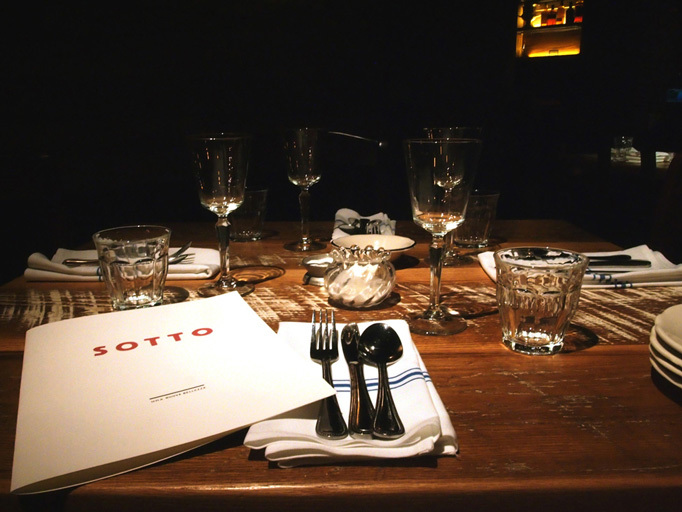 Malfatti is an Italian concept, which directly translated into English means “poorly made.” However, in Italy malfatti is symbolic of an ideal simplicity found in straightforward dishes made from the higheset quality ingredients—remniscent of wabi-sabi in Japanese. 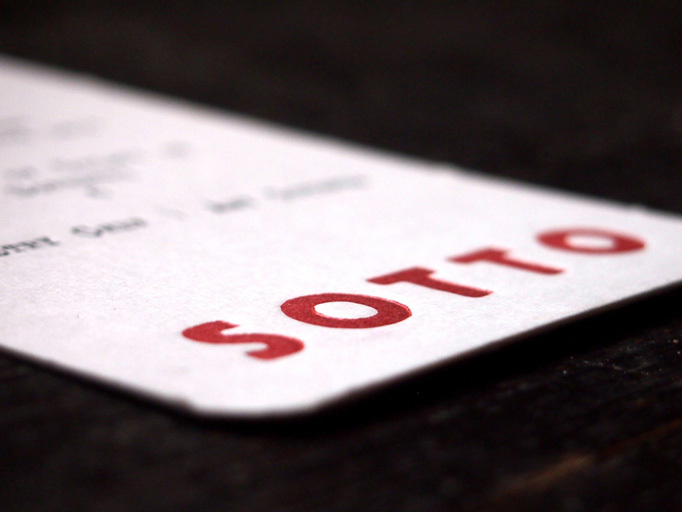 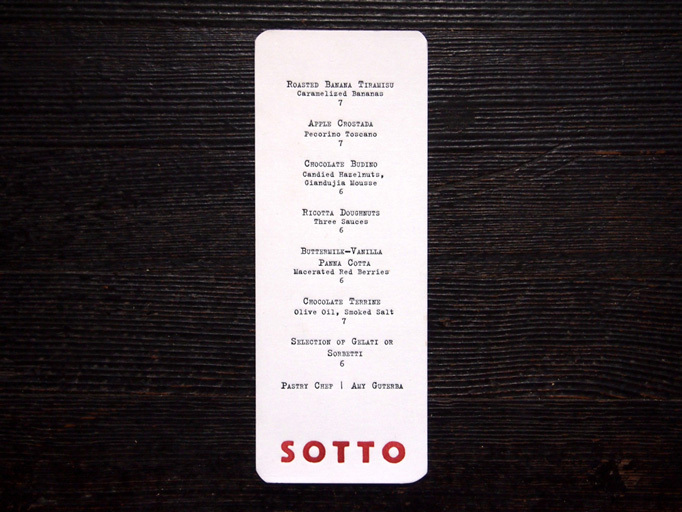 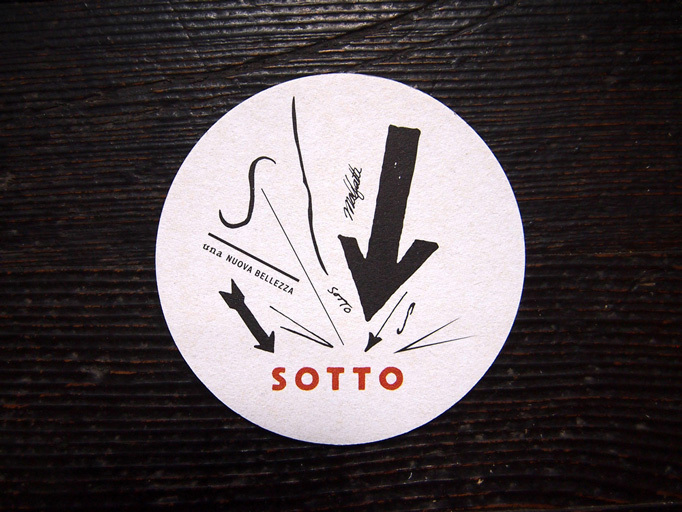 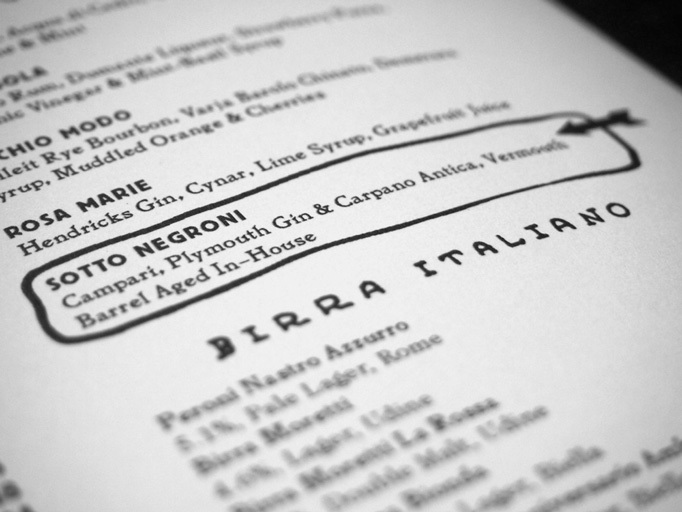 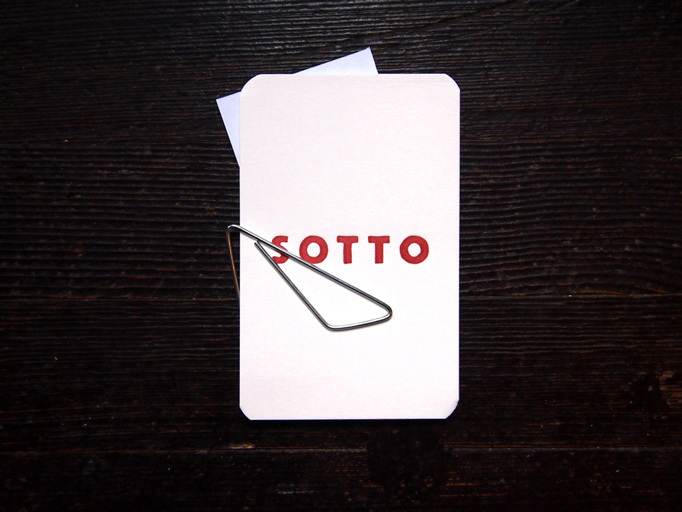 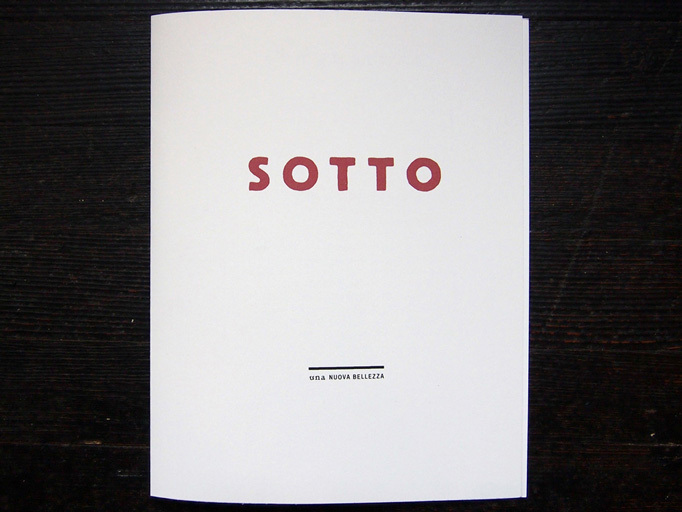 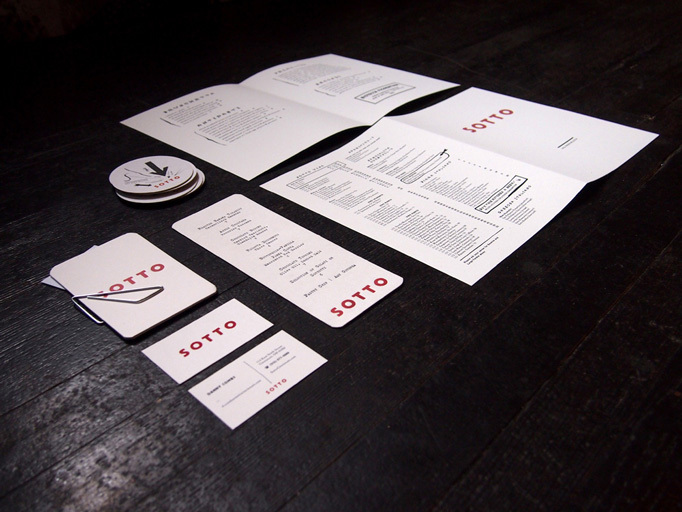 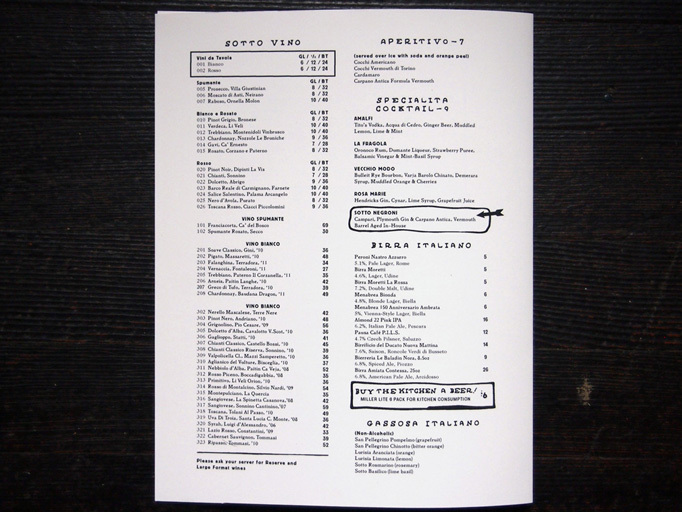 Sotto, and the design that supports the restaurant’s brand, seak to embody this concept, which is evident in the menu’s purposefully rough and raw typography and handdrawn lines. 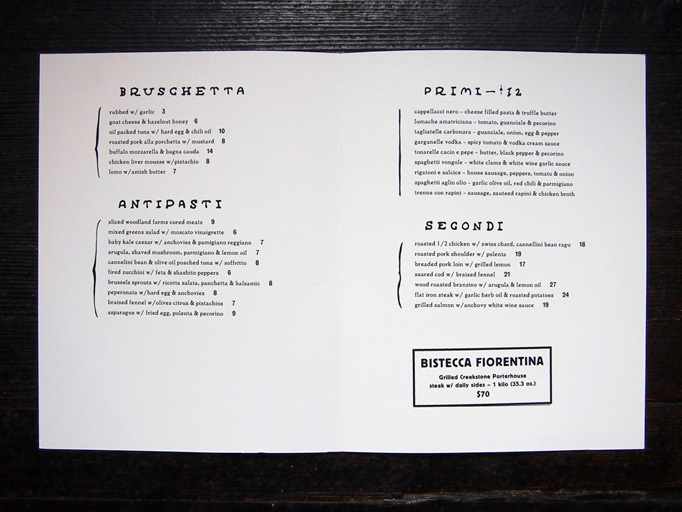 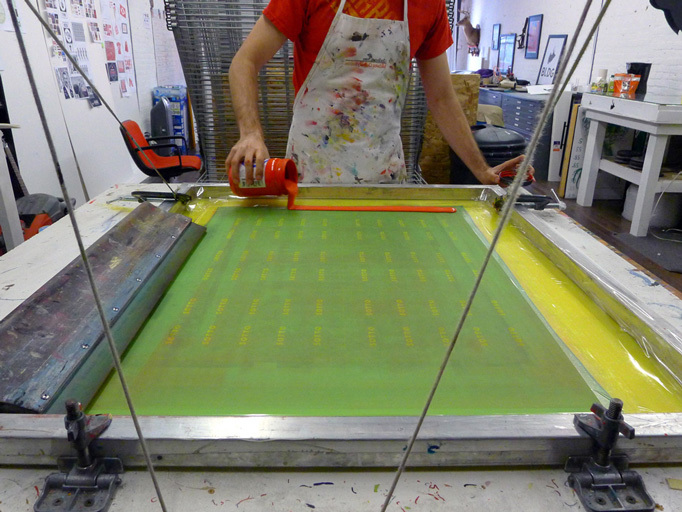 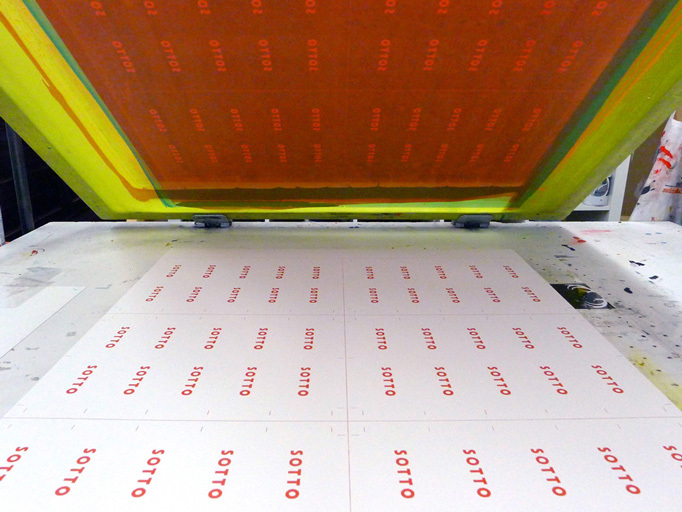 BLDG’s roughed-up take on classic Italian futurism brings the malfatti ideal into the world of communication design.